We Appreciate Our FLVS Flex Elementary Teachers! 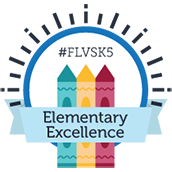 The primary goal of FLVS Flex Elementary is to serve the students and families of Florida within a creative learning atmosphere utilizing a highly-effective curriculum. Satisfied students create satisfied families, which is a direct result of our highly-effective teachers. Our Flex Elementary teachers are collaborative educators that believe all students can and will learn. Families are grateful for our personalized approach to instruction that allows each student to meet and exceed expectations. 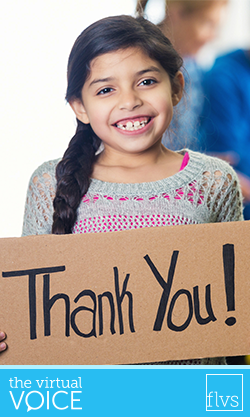 Students excel in our online Class Time sessions and appreciate the warm and supportive environment that helps them connect with their teachers. We established Class Time so students would collaborate with peers and benefit from direct teacher instruction. 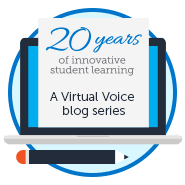 These benefits and the effectiveness of our instructors has established the FLVS Flex Elementary program as an exceptional school option for families and young students across the state of Florida. We are proud of our teachers and thankful for their dedication and commitment to making a difference in the lives of each and every student. #MaresIsAmazing Thank you so much or being my teacher, Mrs. Mares. I am glad to be in this school! #LoveMyTeacher4ever I am thankful for Mrs. Lamb because she’s nice and teaches me about shapes and we do silly dances. #TeamReese I am thankful for Mr. Reese because he is positive and teaches me a lot. #CouldntHaveGottenABetterTeacher We are a military family that will be moved from state to state and it’s wonderful to think that this one important part of my daughters lives will be the same. Thank you so much Mrs. Hiers for all your hard work! #BestTeacherEver My daughter really loves learning with Mrs. Martuscelli and she was so excited when she was able to meet her at the Orlando Science Museum. For more shout-outs from our FLVS Flex Elementary families, view the digital flyer below or online here. This entry was posted in Educator Edition, Homeschool Edition, Parent Edition and tagged #FLVSTAW, #TAW2017, #ThankaTeacher, Elementary Parents, Elementary School, Elementary Teachers, FLVS Elementary, FLVS Flex Elementary, FLVSK5, Kindergarten, Online Elementary School, Online Elementary Teachers, Parent Voice, Teacher Appreciation, Teacher Appreciation Week on May 3, 2017 by Guest Blogger.